April 2nd 2019 - Dr. Efrat Levy promoted to Full Professor. Dr. Efrat Levy, a prominent research scientist in the Center for Dementia Research has been promoted to the rank of of Professor in the Departments of Psychiatry and Biochemistry & Molecular Pharmacology at the New York University School of Medicine. Dr. Levy's laboratory studies the factors that initiate and propagate pathology in neurodegenerative disorders. She is currently the principal or co-principal investigator on five active NIH grants. December 1st 2018 - Dr. Ralph Nixon, Director of Center for Dementia Research received a grant from CHDI Foundation. The grant is titled "In Vivo Evaluation and Therapeutic Modulation of Neuronal Autophagy Flux in HD Mouse Models: Validation of a Transgenic Reporter for In Vivo Neuronal Macroautophagy." September 14th 2018 - Dr. Ralph Nixon, Director of Center for Dementia Research and his team receive a new R01 research grant from NIH. The grant received will investigate “Endosome Dysfunction in Alzheimer's Disease: Mechanism and Role in Pathogenesis”. Endosome dysfunction is strongly implicated in Alzheimer’s disease and recent genetic studies have identified endosome-related genes that are associated with increased risk of developing late-onset Alzheimer’s disease. The goal of our studies is to establish the multiple mechanisms and factors regulating endosome function in brain, neurons, and at synapses in health and in the context of Alzheimer’s disease. Our focus is also to define the influence of selected Alzheimer’s disease risk genes on endosome structure, function and their contribution to endosome abnormalities in Alzheimer’s disease. Our ultimate objectives are identifying and validating innovative therapeutics that target this very early neuronal pathology to prevent/delay Alzheimer’s disease development. Accomplished researchers, Dr. Paul M. Mathews and Dr. Stephen D. Ginsberg were awarded R56 grant from the National Institute of Aging. The grant was awarded for the research in “Pathogenic consequences of altered insulin signaling in the diabetic brain”. The goal of this research is to investigate why diabetes increases a person’s chances of developing Alzheimer’s disease during aging. Drs. Mathews and Ginsberg’s research focus is how changes in insulin levels in the diabetic patient predispose these individuals to Alzheimer’s disease, examining changes that occur in neurons when insulin is poorly regulated. Additionally, they are determining whether a family of FDA-approved drugs can be repurposed to reduce insulin-driven disruption in the diabetic brain, providing a clinical approach that may reduce Alzheimer’s disease-risk and cognitive decline in diabetic individuals”. The grant tiltled " The Role of CA2 in Epilepsy and Social Comorbidity" is about a small part of the brain areaa CA2 of the hippocampus. There is already data which have led to the hypothesis that CA2 is a control point for seizures, meaning it can stop seizures,potentially. The project uses new techniques to address this hypothesis. Specifically, DREADD technology is used in mouse models of epilepsy to selectively silence the neurons in CA2. Dr.Scharfman will test the hypothesis that silencing CA2 can stop seizures. CA2 is also an area that normally supports memory, especially social memory. Since memory and social behavior can be altered in people with epilepsy, so-called comorbidities, the experiments will also address if silencing CA2 in mice with epilepsy can correct the comorbidities. April 2nd 2018 - Dr. Lang Yoo, postdoctoral researcher joins the Nixon Lab in the Center for Dementia Research. In December 2017 the CDR electron microscopy facility installed a Transmission Electron Microscope (Thermo Fisher Talos L120C) capable of magnifications up to 650,000 fold and resolution to 0.2 nanometers. This enables NKI and external researchers to visualize the detailed ultrastructure of cells and tissues as well as the distribution of proteins across various animal and cell models of disease. The electron microscope can also generate 3D data sets by using a specialized tomography holder, which enables an increased understanding of ultrastructural organization. These 3D datasets can be visualized using a dedicated computer workstation that has Inspect3D and Amira software installed. A Thermo Fisher Mark IV Vitrobot is also NEWLY available in the facility for the rapid freezing of cells, organelles or proteins for visualization on the microscope using a specialized cryoholder. Dr.Chris Goulbourne obtained his Bachelors from Durham University and PhD from Oxford University, UK. He secured an American Heart postdoctoral fellowship at UCLA specializing in electron microscopy techniques such as ultrastructural analysis, electron tomography, immunogold electron miscroscopy, correlative light and electron microscopy and Nano Secondary Ion Mass Spectrometry(NanoSIMS). He has managed electron microscopy laboratories at Glaxosmithkline and Columbia University and now directs the facility at Nathan Kline Institute to support researchers. Five multi-year grants were awarded to the CDR Program Director, Ralph Nixon, PhD, MD and highly accomplished research scientists Dr. Efrat Levy, Dr. Stephen Ginsberg and Dr. Paul Mathews at the Center for Dementia Research. This prestigious Program Project Grant award funded by the National Institute of Health will support the research team in studying Alzheimer's Disease and developing novel therapeutic strategies. The CDR program project which is in its 17th year has been studying the genetic causes for Alzheimer's Disease and finding defects in early stages of Alzheimer's disease. Congratulations! Two distinguished scientists from the CDR, Dr. Helen Scharfman and Dr. Efrat Levy have been awarded grants from the National Institute of Aging. Dr. Scharfman's research focus is on understanding why certain neurons in the brain's memory center become abnormally hyperactive before the symptoms of Alzheimer's disease. This provides an important basis for finding novel Alzheimer's Disease treatments. Dr.Levy has received funding for studying the mechanisms by which certain genetic variants prevent the formation of Amyloid beta, a protein being the hallmark of Alzheimer's disease. In addition, Dr. Scharfman and Dr. Levy also were awarded funding for their other projects from National Institute on Drug Abuse and the National Institute of Mental Health. Congratulations! The prestigious awards were announced by New York State Senator, Senator David Carlucci's at the Center for Dementia. Pictured from l to r: Debbie Warburton, Dr.Scharfman, Jody Addeo, NYS Senator Carlucci, Dr. Levy, Debra Kagan-Birkeland, Dr. Nixon, Dr. Ginsberg, Dr. Mathews, Ms. Warburton, Addeo, and Kagan-Birkeland are with Alzheimer's Association Hudson Valley Chapter. 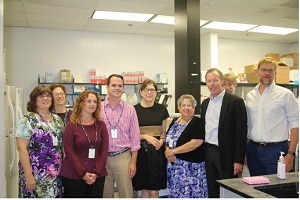 New York State Senator David Carlucci visited NKI and toured the Center for Dementia Research(CDR). During the Senator's visit the CDR scientists showed a glimpse of their research and provided a tour of the laboratories. In addition, NKI announced the awarding of several major federal research grants to CDR investigators, including a prestigious NIH Program Project Grant awarded to the CDR's director, Ralph Nixon PhD, MD. Dr.Nixon commented, "We are gratified that NIH places strong confidence in the AD research programs at the CDR and their promise for pioneering innovative, more effective therapies for AD and related dementias." Senator Carlucci's past appropriation of State funds for a state-of-the-art microscope helped NKI's scientists to secure the highly competitive federal grants. The grant titled "Hilar Mossy Cells and Dentate Gyrus function" is to investigate how a unique cell type in the dentate gyrus called a hilar mossy cell contributes to the function of this part of the brain, which, is involved in normal cognition and behavior. The dentate gyrus and hilar mossy cells have received increasing attention as more evidence has shown that the dentate gyrus is involved in many types of behavior, and appears to sustain loss of mossy cells in many neurological and psychiatric disorders. New findings from the laboratory of Center for Dementia Research Director Dr.Ralph Nixon(in collaboration with EIP Pharma, LLC) were announced at the Alzheimer's Association International Conference held in London. The investigators found that the EIP licenced investigational drug Neflamapimod reversed a critical Alzheimer's related physiologic defect in human patient cells cultured from individuals with a genetic defect predisposing them to early onset Alzheimer's disease. Dr.Nixon recently published a review in the FABSEB Jounal on a key underlying dysfunction in Alzheimer's diease. The grant titled" Hyperexcitability in Alzheimer's Disease" addresses the hypothesis that early in Alzheimer's Disease there is overaactivity in some parts of the brain and this contributes to the subsequent decline in brain function. The grant uses animal models that stimulate diferent characteristics of humans with Alzheimer's disease, and uses these models to test new treatments to prevent or delay the onset of Alzheimer's disease. New Research from the lab of Paul Mathews, PhD, part of NKI's Center for Dementia Research, indicates a link between diabetes and Alzheimer's disease. The study which appears in the Journal of Neuroscience, examined the brains of diabetic monkeys and found insulin resistance and other changes consistent with early events in the brain that may predispose people to Alzheimer's disease. The research was reported in Alzforum. JULY 22 - Dr. Ralph Nixon was presented with the Zaven Khachaturian Award at the Alzheimer's Association International Conference 2015. This prestigious award recognizes an individual whose compelling vision, selfless dedication and extraordinary achievement has significantly advanced the field of Alzheimer science. Congratulations! Dr. Aidong (David) Yuan published a study in Molecular Psychiatry culminating nearly 12 years of neurofilment research entitled "Neurofilament subunits are integral components of synapses and modulate neurotransmission and behaviorin vivo"
Synaptic roles for neurofilament (NF) proteins have rarely been considered. Here, we establish all four NF subunits as integral resident proteins of synapses. Compared with the population in axons, NF subunits isolated from synapses have distinctive stoichiometry and phosphorylation state, and respond differently to perturbations in vivo. Completely eliminating NF proteins from brain by genetically deleting three subunits (α-internexin, NFH and NFL) markedly depresses hippocampal long-term potentiation induction without detectably altering synapse morphology. Deletion of NFM in mice, but not the deletion of any other NF subunit, amplifies dopamine D1-receptor-mediated motor responses to cocaine while redistributing postsynaptic D1-receptors from endosomes to plasma membrane, consistent with a specific modulatory role of NFM in D1-receptor recycling. These results identify a distinct pool of synaptic NF subunits and establish their key role in neurotransmission in vivo, suggesting potential novel influences of NF proteins in psychiatric as well as neurological states. A study by a Japanese group and Dr. Scharfman's contribution to this Perspectives piece to the March 20 issue of Science suggest that inhibition of LDH in mouse models could suppress seizures, making LDH a new target for a new group of antiepileptic drugs. This could replace the current difficult-to-follow ketogenic diet, a diet high in fats and low in carbohydrates. Dr. Scharfman was interviewed on the subject by The Pharmaceutical Journal. The Washington Post reported on a study presented by our own Dr. Stephen D. Ginsberg at the annual meeting of the Society for Neuroscience in Washington DC showing that restricting calories may slow aging. Cutting calories in female mice by 30% suppressed expression of 882 age-related genes in the hippocampus. While not a "fountain of youth," these findings further link diet to aging. Click here for the article. Signed into law in 2011, the National Alzheimer's Project Act resulted in the 2012 National Plan to Address Alzheimer's Disease, the goal of which is prevention and treatment of Alzheimer's disease by 2025. The Plan outlines initiatives to help doctors, caregivers, and individuals with Alzheimer's and other dementias as well as raise disease awareness and advance research. In June of 2014, the Alzheimer's Association gathered an expert workgroup consisting of world-renowned Alzheimer's experts, among them Dr. Ralph A. Nixon, to evaluate the Plan and its progress. The workgroup determined that changes were needed in order to meet the set milestones. Most urgent of the milestones were recommendations impacting drug development, risk reduction and new conceptual models of Alzheimer's. Click to read more or the full report. Lighthouse Hockey, a website dedicated to the New York Islanders hockey team, has generously offered to donate their share of profits from T-shirt sales to the CDR. Lighthouse Hockey wished to honor former Islanders coach Al Arbour, who recently revealed health problems related to dementia. Arbour, a member of the Hockey Hall of Fame, coached the Islanders for 1,500 games, 740 wins, five Stanley Cup finals and four straight championships. The CDR thanks Lighthouse Hockey for their generosity as we continue to uncover the cause of dementia for Al and the millions of others affected by this disease. New article published by Xue Xue, M.S. Defective autophagy in Alzheimer's disease (AD) promotes disease progression in diverse ways. Here, we demonstrate impaired autophagy flux in primary glial cells derived from CRND8 mice that overexpress mutant amyloid precursor protein (APP). Functionalized single-walled carbon nanotubes (SWNT) restored normal autophagy by reversing abnormal activation of mTOR signaling and deficits in lysosomal proteolysis, thereby facilitating elimination of autophagic substrates. These findings suggest SWNT as a novel neuroprotective approach to AD therapy. Dr. Dun-Sheng Yang and members of the CDR and Neurochemistry Department have had accepted their paper "Defective macroautophagic turnover of brain lipids in the TgCRND8 Alzheimer mouse model: Prevention by correcting lysosomal proteolytic deficits" by Brain. The New York Times reported on studies from the Alzheimer's Association International Conference in Copenhagen this week that focused not on brain functions, but on people's overall health and well being as possible contributors to mild cognitive impairment (MCI) and dementia. The article highlights studies that measured how populations at high risk for dementia might decrease their chances for developing MCI or dementia by effectively managing their perceived everyday stresses by participating in everything from cognitive behavioral therapy to yoga. The article suggests that this trend in approach stems from an unfortunate history of failed drug trials. Specific calpain inhibition by calpastatin prevents tauopathy and neurodegeneration and restores normal lifespan in Tau P301L mice. Tau pathogenicity in Alzheimer's disease and other tauopathies is thought to involve the generation of hyperphosphorylated, truncated, and oligomeric tau species with enhanced neurotoxicity, although the generative mechanisms and the implications for disease therapy are not well understood. Here, we report a striking rescue from mutant tau toxicity in the JNPL3 mouse model of tauopathy. We show that pathological activation of calpains gives rise to a range of potentially toxic forms of tau, directly, and by activating cdk5. Calpain overactivation in brains of these mice is accelerated as a result of the marked depletion of the endogenous calpain inhibitor, calpastatin. When levels of this inhibitor are restored in neurons of JNPL3 mice by overexpressing calpastatin, tauopathy is prevented, including calpain-mediated breakdown of cytoskeletal proteins, cdk5 activation, tau hyperphosphorylation, formation of potentially neurotoxic tau fragments by either calpain or caspase-3, and tau oligomerization. Calpastatin overexpression also prevents loss of motor axons, delays disease onset, and extends survival of JNPL3 mice by 3 months to within the range of normal lifespan. Our findings support the therapeutic promise of highly specific calpain inhibition in the treatment of tauopathies and other neurodegenerative states. Microtubule-based axonal transport is believed to become globally disrupted in Alzheimer's disease in part due to alterations of tau expression or phosphorylation. We previously showed that axonal transport rates along retinal ganglion axons are unaffected by deletion of normal mouse tau or by overexpression of wild-type human tau. Here, we report that htau mice expressing 3-fold higher levels of human tau in the absence of mouse tau also display normal fast and slow transport kinetics despite the presence of abnormally hyperphosphorylated tau in some neurons. In addition, markers of slow transport (neurofilament light subunit) and fast transport (snap25) exhibit normal distributions along optic axons of these mice. These studies demonstrate that human tau overexpression, even when associated with a limited degree of tau pathology, does not necessarily impair general axonal transport function in vivo. Nature Medicine 2013 Aug;19(8):983-97. doi: 10.1038/nm.3232. Epub 2013 Aug 6. 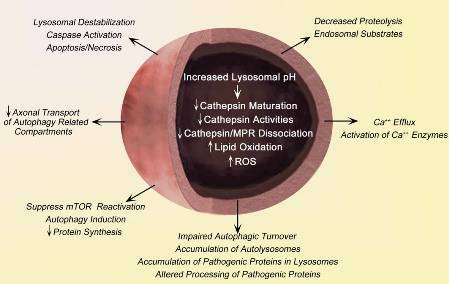 Autophagy is a lysosomal degradative process used to recycle obsolete cellular constituents and eliminate damaged organelles and protein aggregates. These substrates reach lysosomes by several distinct mechanisms, including delivery within endosomes as well as autophagosomes. Completion of digestion involves dynamic interactions among compartments of the autophagic and endocytic pathways. Neurons are particularly vulnerable to disruptions of these interactions, especially as the brain ages. Not surprisingly, mutations of genes regulating autophagy cause neurodegenerative diseases across the age spectrum with exceptional frequency. In late-onset disorders such as Alzheimer’s disease, amyotrophic lateral sclerosis and familial Parkinson’s disease, defects arise at different stages of the autophagy pathway and have different implications for pathogenesis and therapy. This Review provides an overview of the role of autophagy in neurodegenerative disease, focusing particularly on less frequently considered lysosomal clearance mechanisms and their considerable impact on disease. Various therapeutic strategies for modulating specific stages of autophagy and the current state of drug development for this purpose are also evaluated. Autophagy is a process to recycle cellular waste that relies on correct functioning of the lysosome. The complex regulation of lysosomal pH makes this process vulnerable to disruption by many factors and reliable lysosomal pH measurements are increasingly important in investigations of disease mechanisms. Here we evaluate the most commonly used pH probes and review evidence that lysosomal acidification is defective in Alzheimer's disease (AD), extending our original findings of elevated lysosomal pH in presenilin 1 knockout cells. Congratulations to Meihua Li, PhD for receiving funding from the Alzheimer's Disease Center (ADC) pilot award! The ADC pilot award aims to aid the development of young investigators as well as enable novel research directions for established scientists. 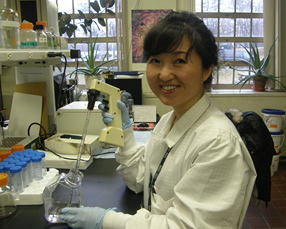 Dr. Li will receive a year of funding to persue her project, "Exosome secretion in the Brain of APP transgenic mice", whose goal is to "determine whether endosomal pathology affects exosomal secretion and exosomal APP content within the brain of mouse models of APP overexpression." Based on Dr. Li's preliminary data, this project may provide further insight into the development of exosome-based therapy for certain neurodegenerative disorders. The New York Times has further information about this gene mutation. Dr. Helen Scharfman received an award from the Alzheimer's Association. The title of Dr. Scharfman's grant is "Circuit-based strategies in Alzheimer’s Disease and epilepsy." This study will address the hypothesis that hyperexcitability in specific circuits within the dentate gyrus of the hippocampus, an area of the brain that is critical to memory, occurs early in Alzheimer’s disease (AD). Dr. Stephen Ginsberg received an Investigator Initiated Research Grant award from the Alzheimer's Association. The title of his grant is "Effect of caloric restriction on septohippocampal neurons in AD models" which aims to isolate molecular fingerprints from vulnerable and relatively spared septohippocampal populations in Tg2576 and Ts65Dn mice following caloric restriction. PLoS ONE has accepted "The C-terminal domains of NF-H and NF-M subunits maintain axonal neurofilament content by blocking turnover of the stationary neurofilament network" for publication. 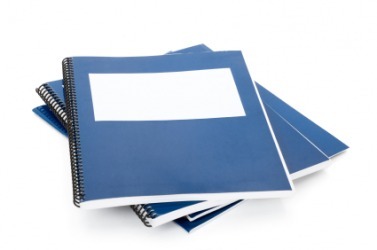 Authors are Mala V. Rao, Aidong Yuan, Jabbar Campbell, Asok Kumar, and Ralph A. Nixon. Newly synthesized neurofilaments or protofilaments are incorporated into a highly stable stationary cytoskeleton network as they are transported along axons. Although the heavily phosphorylated carboxyl-terminal tail domains of the heavy and medium neurofilament (NF) subunits have been proposed to contribute to this process and particularly to stability of this structure, their function is still obscure. Here we show in NF-(H/M)tailΔ mice that the deletion of both of these domains selectively lowers NF levels 2-6 fold along optic axons without altering either rates of subunit synthesis or the rate of slow axonal transport of NF. Pulse labeling studies carried out over 90 days revealed a significantly faster rate of disappearance of NF from the stationary NF network of optic axons in NF-(H/M)tailΔ mice. Faster NF disappearance was accompanied by elevated levels of NF-L proteolytic fragments in NF-(H/M)tailΔ axons. We conclude that NF-H and NF-M C-terminal domains do not normally regulate NF transport rates as previously proposed, but instead increase the proteolytic resistance of NF, thereby stabilizing the stationary neurofilament cytoskeleton along axons. The New York City Chapter of the Alzheimer's Association hosted the annual “Forget-Me-Not” Gala, An Evening to End Alzheimer’s, at The Pierre. The event featured many stars, among them David Hyde Pierce, James Keach, Jane Seymour, Victor Garber, Sarah Jessica Parker, Jonathan Groff, Michael Tucker, Jill Eikenberry, John Glover, Zachary Quinto, and John Hickey; prominent members of the research and medical community included Dr. Karen Bell, Dr. Peter Davies, Dr. Steven Ferris, Dr. James Galvin, Dr. Samuel Gandy, Dr. Veronica Lo Faso, Dr. Mony de Leon, Dr. Richard Mayeux, Dr. Effie Mitsis, Dr. Ralph Nixon, Dr. Norman Relkin, Dr. Mary Sano, and Jennifer Williamson. A paper has been accepted for publication in the Journal of Neuroscience, "Peripherin Is a Subunit of Peripheral Nerve Neurofilaments: Implications for Differential Vulnerability of CNS and PNS Axons" by Aidong Yuan, Takahiro Sasaki, Asok Kumar, Corrinne Peterhoff, Mala Rao, Ronald Liem, Jean-Pierre Julien, and Ralph Nixon. Peripherin, a neuronal intermediate filament protein implicated in neurodegenerative disease, coexists with the neurofilament triplet proteins (NFL, NFM, and NFH) but has an unknown function. The earlier peak expression of peripherin than the triplet during brain development and its ability to form homopolymers, unlike the triplet, which are obligate heteropolymers, have supported a widely held view that peripherin and neurofilament triplet form separate filament systems. Here, we demonstrate, however, that despite a postnatal decline in expression, peripherin is as abundant as the triplet in the adult PNS and exists in a relatively fixed stoichiometry with these subunits. Peripherin exhibits a distribution pattern identical to those of triplet proteins in sciatic axons and co-localizes with NFL on single neurofilament by immunogold electron microscopy. Peripherin also co-assembles into a single network of filaments containing NFL, NFM, NFH with and without α-internexin in quadruple- or quintuple-transfected SW13 vim (-) cells. Genetically deleting NFL in mice dramatically reduces peripherin content in sciatic axons. Moreover, peripherin mutations has been shown to disrupt the neurofilament network in transfected SW13 vim(-) cells. These data show that peripherin and the neurofilament proteins are functionally interdependent. The results strongly support the view that rather than forming an independent structure, peripherin is a subunit of neurofilaments in the adult PNS. Our findings provide a basis for its close relationship with neurofilaments in PNS diseases associated with neurofilament accumulation. Dr. Ralph Nixon was quoted in The Wall Street Journal in A New Target in Fighting Brain Disease: Metals. Ralph Nixon, MD, PhD has received a grant from the CHDI Foundation entitled “Comparative Evaluation of the Autophagy Pathway and Related Systems in Huntington Brain.” The proposal aims to characterize the autophagy response in neurons in Huntington’s disease and the suspected evolution of pathologic impairment of this response in relation to disease progression using ultrastructural, immunohistochemical, and molecular analyses. The study hopes to uncover whether there are deficiencies that may contribute to the accumulation of toxic proteins, or alternatively whether the accumulation of these proteins shuts down this proteolytic clearing system, ultimately leading to cell death. 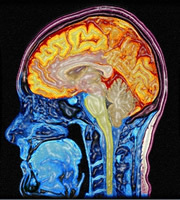 The InFocus newsletter is published for the Center for Excellence on Brain Aging, now called the Comprehensive Center on Brain Aging. Questions regarding InFocus can be addressed by emailing Alexandra Freund at Alexandra.Freund[at]nyumc.org. Please click here to access current and past issues.